Just looking at this makes me want a shower. 23 While Jesus was in Jerusalem for the Passover Festival, many believed in his name because they saw the miraculous signs that he did.24 But Jesus didn’t trust himself to them because he knew all people. 25 He didn’t need anyone to tell him about human nature, for he knew what human nature was. 10 “Jesus answered, “You are a teacher of Israel and you don’t know these things? 11 I assure you that we speak about what we know and testify about what we have seen, but you don’t receive our testimony. 12 If I have told you about earthly things and you don’t believe, how will you believe if I tell you about heavenly things? 13 No one has gone up to heaven except the one who came down from heaven, the Human One. [c] 14 Just as Moses lifted up the snake in the wilderness, so must the Human One[d] be lifted up 15 so that everyone who believes in him will have eternal life. 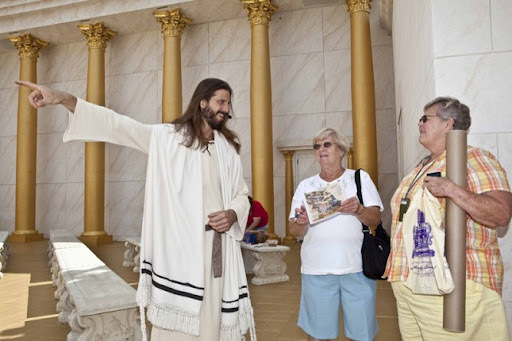 …And the gift shop is that way, right next to the Kosher Korn Dog stand. Thanks for coming! Growing up in Jesusland, there are a few noticeable peculiarities in the way people talk, especially about their faith. There’s a good chance that, out of nowhere, someone may ask you if you have been “born-again.” A strange phenomenon, but it’s everywhere, and Lord help you if you’re a good sprinkled baby-baptized Methodist in a predominantly Southern Baptist town/city/state. Now I’m not one to say that one should not be born again. Of course you should. Part of the package of believing in Jesus Christ is the realization that you need to not only be born of the flesh, but also of the spirit. Spiritual revitalization and new birth is a core teaching of the church, and referring to one’s self as one is not in and of itself a bad thing. I would like to ask one question, however. How come whenever we talk about new birth, why don’t we ever talk about all the mess that comes with it? If we take the metaphor to its logical conclusion, is there not a spiritual after-birth? It seems apparent to me that, while I lack experience in this regard, childbirth is a pretty messy process. Ask any woman. Heck, ask your mom. Childbirth is messy. Not only that, it’s painful. Just remember, you caused me 8 hours of agonizing pain in my nether regions, and I will have my revenge. It’s therefore only logical to think that spiritual birth is also a messy and painful process. For one, you’re going to get stuff wrong. That’s a given. You’re going to fall down, and it’s going to hurt. There’s going to be consequences, since no good deed goes unpunished. You’re life is going to change, and while it’s for the better, you may be treated differently, and it’s going to take a lot of serious thought, prayer, and discussion to get through it. The feeling of conversion is phenomenal, and it does feel amazing, but there’s going to be a time when you feel spiritual whiplash. It’s during those times, we turn to those who brought us to faith. Maybe it’s the friend who brought us to church for the first time, a pastor, an experienced saint of the church, or family. The church builds us up when we fall down, cares for us when we are in need, and heals us when we are wounded. 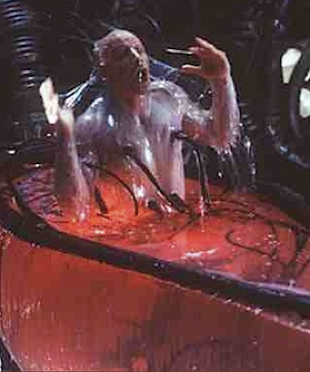 I use the picture of Neo’s awakening from the Matrix to illustrate my point. He made the choice to be awoken, but he was in need of help right after that. The world he knew was gone, and nothing made sense anymore. It took the crew of the Nebuchadnezzar to teach him what he needed to know about his new life to be able to function and make the most of his new reality. So it is with the church. We are there to help those who don’t know, to teach the young in the faith and help clean up the afterbirth. New life takes time, but that’s all part of growing in faith and in the Spirit. This entry was posted in Jesusland, Lent and tagged Jesusland, Lent, Matrix, New Birth. Bookmark the permalink.